On July 20 2013, developers celebrated the groundbreaking of Sky City in the southern Chinese city of Changsha. 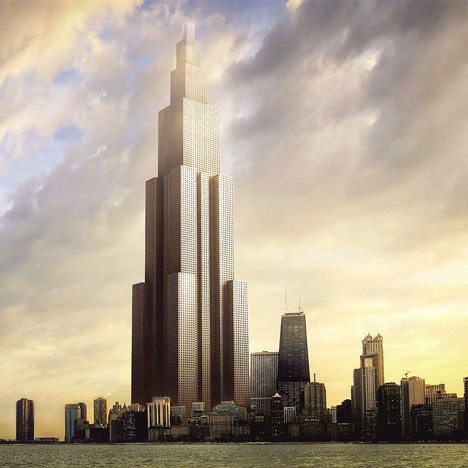 It is set to be completed in 2014 and at 838 meters it would overshadow the Burj Khalifa in Dubai — currently the world’s tallest building — by 10 meters. Sky City, a 220-storey tower will reportedly stand 2,749 feet tall. Scheduled to debut in China in 2014, it is a prefabricated structure, requiring 3 months of manufacturing time off site and an additional 7 months needed for assembly in Changsha. The design goal of the upcoming tower is to promote sustainability. Amazingly, the building will house office spaces, residential apartments, recreation areas, farms, even schools and a hospital. The structure will essentially serve as an entire city. It will offer more than 4,400 families a place to live and be able to accommodate more than 100,000 people. If the project is a success, the Chinese super tower will surpass the Burj Khalifa, which stands 2,716 feet high and serves as a 160 story waterfront building, housing hotels, retail offices and residential spaces. Architect Gordon Gill spoke at Bloomberg Businessweek’s second annual design conference about how innovative design techniques can be used to make buildings and cities more energy-efficient.